Absentee voting is underway for the upcoming general election on Nov. 3. Qualified Virginia voters may vote absentee by mail or in-person. Registered voters must meet one of the 19 eligibility requirements listed on the Virginia Absentee Ballot Application (Click Here for Form) to vote absentee. Qualifying reasons are located on the last page of the absentee application. Requests for an absentee ballot by mail must be submitted to the voter’s local registration office by 5:00 p.m.on Tuesday, October 27th. Applications must be received by this deadline in order to receive a ballot in the mail. Absentee ballot applications may be hand-delivered, mailed, faxed, or emailed to their local voter registration office. Voters have until November 3, 2015, at 7:00 p.m. to return their completed absentee ballot. 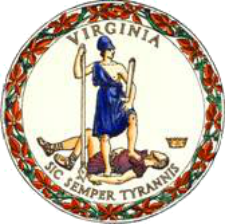 The full list of local voter registration office addresses can be found at http://elections.virginia.gov. Virginia law requires voters to present an acceptable photo ID when voting in-person. For a list of acceptable forms of photo identification, or to find out how to obtain a free Virginia Voter Photo ID Card, please visit the Department of Elections’ website at http://elections.virginia.gov. Voters can also find information about the upcoming election and check their registration status on the site. The Department of Elections’ toll free number is 1-800-552-9745.